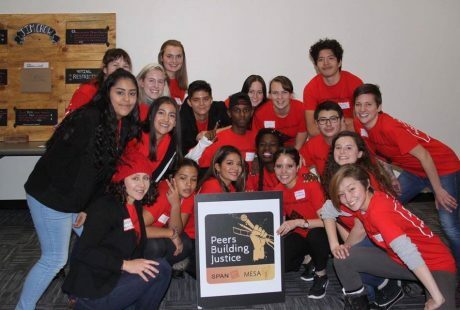 Peers Building Justice | PBJ aims to educate and empower youth to prevent interpersonal and sexual violence while promoting social justice in our communities. 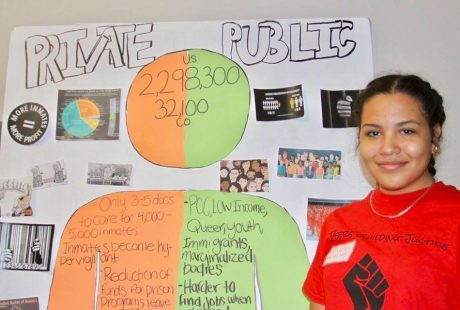 On July 11th, SPAN’s Youth Violence Prevention Organizer and PBJ Adult-Mentor, Fernanda Perez, and MESA’s Prevention Specialist, Sarah Dobson, presented at the 12th Annual SOMB Conference. Their presentation was on Sexual Violence Prevention with a Social Justice Lens. Fernanda and Sarah presented in front of the SOMB Board of Directors and other professionals. Click here to see pictures of the Conference. The week of July 2nd-7th, PBJ held their 2018 Summer Program. 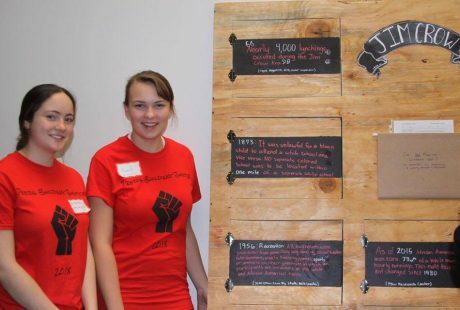 During this week, PBJ youth participated in a Justice System/Politics themed week. Each day we had a different activity for the youth to get to know more about our local, state, and federal political system. Some of the activities included: touring the State Capitol and afterwards, sitting down with the Lt. Governor of Colorado, Donna Lynne, where the youth asked her questions about the administrations’ policies, her thoughts on the future of Colorado, and why it is so important for youth to be politically involved. The youth later got the chance to tour a Federal Court and learn more about how it works. Other activities were touring the Boulder County Justice Center, where the youth had the chance to meet and speak with the Boulder’s District Attorney, Michael Dougherty, staff members, and court officials. We ended the week with the youth presenting on what they learned, and some of the projects included: steps in becoming a lawyer/prosecutor, how important voting is, how Colorado has changed politically over the years, and a “TedTalk” by one of our youths about our political system. We later had a pool party with all of them for all their hard work! Click here to view pictures of the week. On Thursday May 17th, three of our PBJ youth, Alejandra Floripe, Maddy Fischer, and Enrique Hernandez Salcido, got awarded the Outstanding Youth Volunteer Award by the City of Boulder. These outstanding youth have made incredible contributions to their communities and continue to make the world a better place. We are incredibly proud of them and can’t wait to see how far they go! To view pictures of the award ceremony click here. On May 6th, our Peers Building Justice (PBJ) youth participated in the 2018 May Showcase. At the showcase, they presented numerous social justice topics such as how important water is in our society and how low-income communities pay the biggest price to access clean, drinkable water. Other projects included racism in the cosmetic industry, the threat of Donald’s Trumps budget cut to our National Parks, Multiple Sclerosis, a personal story of one of our youth coming to the USA from Eritrea, the Syrian Crisis, being body positive, the real story of Mexico, talking about endangered species through art, and many other topics. This showcase was different than our MLK Jr. Showcase. Here, our youth could really explore and present absolutely anything they felt passionate about or wanted to learn more about. These have been topics very close and important to our youth and they spent numerous weeks working on these projects. This showcase was youth-led, so we felt very inspired on the passion and commitment our youth have in fighting and educating the public! To view pictures of our May Showcase click here. PBJ marched not only to stop mass shootings in our schools across the country, but to put an end to all gun violence in all communities across the nation. Youth of color have been voicing these very issues, but no national platform has been given to them, so on Saturday we marched for them. We marched for every young person whose life has ended too soon because of the gun violence in the country. We marched because this is unacceptable to see in a country we all love. This young generation is coming with an ambitious and a no BS attitude. They are here to stay, they are here to change things, and they are here to make their voices and actions be heard. Not one more. Reina Ross (PBJ Adult-Mentor), Sarah Dobson (MESA), Stan Garnett (District Attorney of Boulder County), and Pam Malzbender (ZONTA) spoke last month about online safety for youth and the prevalence and dangers of Sexting with radio station KGNU. Advice for parents were also discussed throughout the podcast. Click here to listen to the podcast about Sexting. PBJ adult mentors, Fernanda and Jackie, and SPAN staff, Sophie, were invited to talk about “Relaciones Saludables” or Healthy Relationships at KGNU’s Spanish Radio Show Pasa La Voz. For this hour, we talked about what a healthy relationship was for both youth and adults, how relationships look different depending on social locations and identities one holds, and how to help a friend or anyone from an unhealthy relationship. Click here to listen to the Spanish podcast about Relaciones Saludables. Almost a month ago, on February 14th 2018, a day dedicated to love and friendship, another mass shooting occurred in the United States of America. But this time, it has been different. 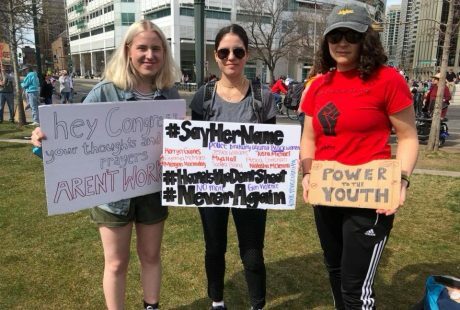 Young people — high school students to be more precise, have been at the forefront of this #NeverAgain movement. They have started a movement that has inspired and captivated the minds of millions across the country. They want change and they want it now. Thoughts and prayers are simply not enough when it comes to gun violence. The time for change is undoubtedly overdue. 1) Do you feel inspired/hopeful by the movement the Parkland survivors have started regarding gun control? Why or why not? I am absolutely inspired by the movement of the Parkland survivors regarding gun control. It’s really incredible to see young people not just speaking up, but also genuinely being heard by adults both in the community and in those in political office across the country. 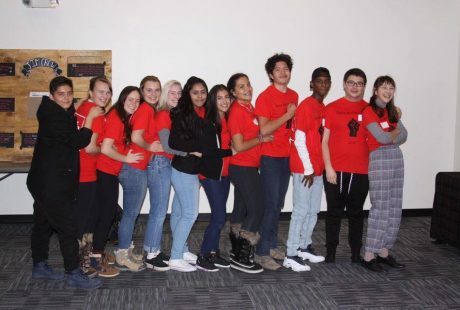 Teens are constantly pointing out the issues in our society and working to fix them, but often have to work twice as hard to even simply be acknowledged, so I think this shows progress in many different areas of our community. 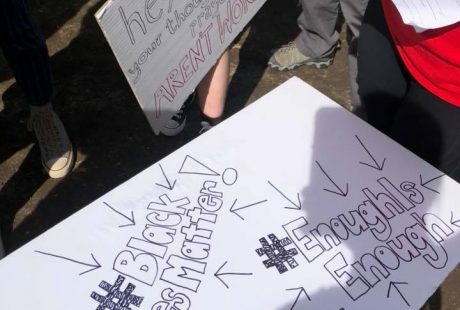 However, even still, I thinks it’s important that we remember that teens and young people of color have been speaking out against gun violence in their communities for a very long time, and have not gotten the kind of attention the Parkland survivors are receiving now. There is something to be said about the fact that this is growing out of a very affluent, white community in our country and that cannot be forgotten. 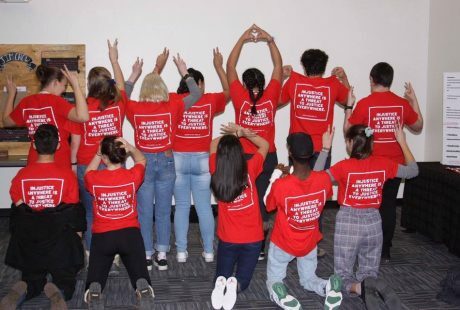 With this in mind, though, the teens who have worked to start this movement inspire me more every day to speak up and use my voice, especially as a young white person in a similarly affluent and white community, to advocate for gun control along with other issues I care about and be an ally to those who don’t have as loud of a voice as I do. 2) What are your thoughts/feelings when going to school every day? Do you feel safe? Why or why not? As a general rule, no I don’t feel particularly safe when going to school every day, knowing that guns are so easily accessible and schools are such easy and common targets. Yet, even still, physical safety in school is not something that is constantly on my mind, which is mostly due to the immense amount of privilege I have. However, part of this is also due to our desensitization, as a society, to gun violence. It occurs so regularly that, even as fears have risen, so has our tolerance for it. An act of gun violence is something that could almost pass easily over my mind nowadays. Because of this, except for in special circumstances, I generally think little of shootings occurring at my own school. While this may be good, as it would be extremely detrimental to my mental health were I to think about it all the time, it’s also problematic. I, and all of us, have to be thinking of these things because they need to be addressed. This should not be something that any student should have to have on their mind when they enter their school. 3) Do you believe your school, community, and/or local politicians are doing what is needed to address the gun violence and pass tighter gun legislature? Generally, no, I don’t believe any institutions or generally us as a community, are doing enough to end gun violence and pass tighter gun legislation. When the Parkland shooting happened, I genuinely heard nothing about it all day. None of my teachers or administration said anything regarding it. I understand it’s scary to talk about these things, especially being students and teachers. Students and teachers are two groups who spend most of our days in school, and are obviously common targets, but any change has to start with talk. Luckily, conversation is happening at a larger level, as we can see with the Parkland survivors, however, it is obviously too late. It seems that every time we talk, every time we push for change, every time politicians start agreeing to pay attention to this issue, it’s already too late. We have to be making this change, passing stricter gun legislation, now, before we stop talking and another shooting occurs. It seems we are on the right track right now at least, as we have gotten momentum from the Parkland survivors, but this has to continue. All of us, and especially those with power in schools, and particularly politics, have a duty to prevent future mass shootings. Thoughts and prayers after the fact aren’t enough anymore. I feel very inspired by the Parkland students. They have started a very important movement that should change a lot of people’s lives in a positive way. Also, a lot of people think since we’re students and that we are so young, that we don’t know what we’re talking about, but, these Parkland students are an example of the large impact we have to the community as students. These students suffered a very painful event that could have possibly been avoided by stronger gun control. The discussion over gun control has always been pushed to the side, and it’s something that shouldn’t be ignored. School shootings have been occurring a lot since the start of this year. The proposed solution is implementing new gun control legislation. That’s what the Parkland students and all students want to see, a resolution to the amount of school shootings. I am very thankful that most of the days that I go to school, I can feel safe. But, some students don’t feel safe at their school, even though schools should be a safe zone for students. Also, there are a lot of issues with schools being threatened. For example, one day that I didn’t feel safe at school was when there was a shooting threat. Even my parents were doubtful if they should’ve sent me and my older brother to school that day, but when I arrived at school I realized that most students didn’t show up. It was such a big deal that it even seemed like the teachers were scared. For example, my 1st period teacher decided to address what the situation was and why so many students were missing. Also, he even thought it was necessary to explain to us what our emergency escape options were because everyone was very paranoid. Nobody should have to be scared to come to school, we should all feel safe in our learning environments. 3) Do you believe the National School Walkouts and the March for Our Lives rallies will impact/will lead to change? Why or why not? I do believe that the National School Walkouts and the March for Our Live rallies will lead to change because they’re strong events that can send a message to the government. If the government truly cares about public opinion, they will see the amount of support shown in our movement and will propose a solution. Also, all these movements will impact the consideration for new legislation because all these protests will get a lot of attention bringing in more support from others. Although, this movement will need a lot of contribution with a lot of hard work, I believe we are a strong community of students that can come together to raise our voice over something we support. I feel extremely inspired and hopeful by the Never Again movement that the Parkland survivors have started. I find it motivating to see how a few high school students have started a nationwide movement that has created change even in our current political climate. The Parkland survivors have inspired me significantly. 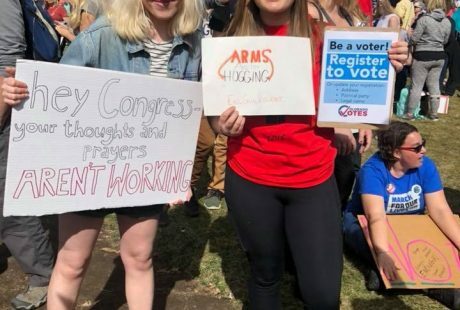 I am very impressed by how they were able to take social media and use it as an outlet to create a non-partisan movement demanding to enforce gun control policy. I have a lot of confidence in my generation with all of the political action and participation I have seen and will continue to see. 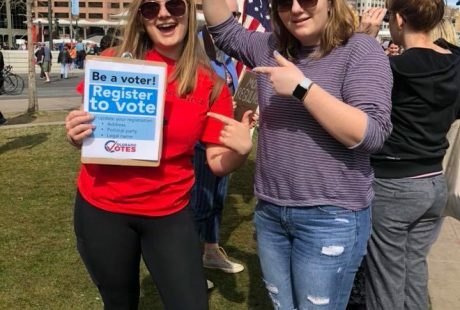 This movement is also very important in revolutionizing the way that politicians see students, making them recognize teen activists as political leaders that need to be taken seriously. 2) What are your thoughts/feelings when going to school every day? Do you feel safe why or why not? While attending a predominantly wealthy and white high school in Boulder, and while being white and living in Boulder, I usually feel pretty safe on a day to day basis. Two years ago on Facebook someone posted a bomb threat towards Boulder High, and the next day absences were not marked but school was still in session. It was soon found out to be someone who was angry over the basketball rivalry and blowing off steam. I quickly realized that many students had become so numb to this trend of violence that it has become a common part of some peoples humor, this school year (2017-2018) at least two people have been suspended for posting ‘jokes’ about gun violence on school property. 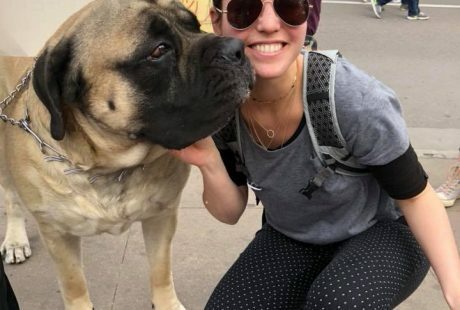 I have only lived in Boulder for three years and have experienced other times during my education when I haven’t felt or been safe at school, my safety’s came into question as a result of fights, being bullied, people bringing weapons to school, and other physical threats. I do believe that the National School Walkouts and the March for Our Lives rallies can lead to change. All fifty states will be having marches on the 24th of March, and I really hope that the amount of students that will be marching will be enough to convince our government that they need to protect us and not their guns. 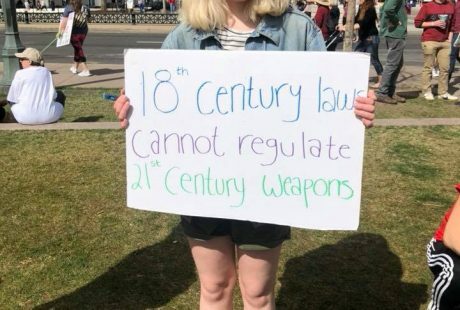 The March for Our Lives is led by the Parkland survivors, I believe that the political action that they have created in my generation will continue to lead to change even past gun control. This nationwide movement is going to make a lasting impact, and I am ready to make history. 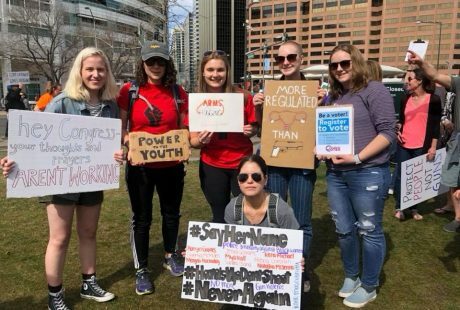 Our PBJ youth, along with other young people, teachers, and many other individuals, will be participating in the National School Walkouts and the March for Our Lives rallies here in Boulder and Denver, Colorado. 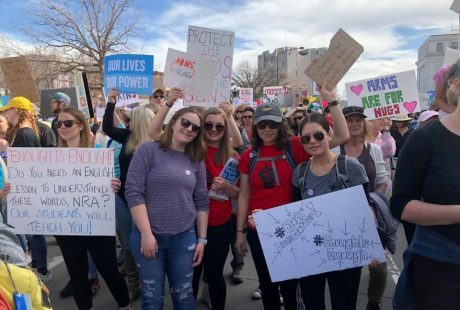 We encourage every BVSD high school to participate in both National School Walkouts. The first walkout will be on March 14, 2018 for 17 minutes (one minute for every individual lost in the Parkland shooting), and the second will be an all-day walkout on April 20th, 2018 to commemorate the anniversary of the Columbine shooting in 1999. 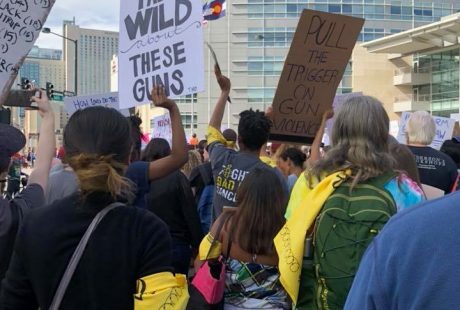 The March for Our Lives will take place on March 24, 2018 at the Denver’s Civic Center Park from 2-5pm. We encourage everyone to come out and join this very important movement. With Healthy Relationships we also have to take into consideration how our social locations and the identities that we hold can reflect healthy/unhealthy relationships. This is a list of some key elements of what a healthy relationship looks like with an anti-oppressive lens. Communication: Understanding your partner(s) social location can change the way they communicate (how and where they grew up, how they were raised, personality, family etc). Being honest and open about your views, feelings, thoughts, etc are really important. We also understand how society has put pressure on certain genders to hold back emotions. 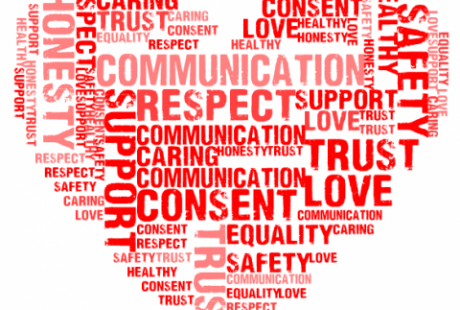 Communication is key to a healthy relationship so work with your partner(s) and start talking about what’s going on. Active listening: Listening is one thing, but active listening is completely different. Listening is when someone is saying something and you are hearing their voice/words or body movements, but not their message. Active listening is fully focusing, concentrating, understanding, and responding what the other person told you. Empathy: It is truly important to feel WITH someone. Sympathy and Empathy can be mistaken as similar, but they are not. Sympathy is when you feel sorrow, pity, sadness, etc for the troubles or hardships that another person faces, but empathy is truly feeling for them, putting yourself in the other person’s shoes. Respect each other: Respecting each other means we are respecting our boundaries and that of our partner(s). It means that we are taking into consideration all of our privileges and where we are not privileged. Making sure we respect where they are coming from. Respecting their decisions, respecting their being, respecting their passions — and that can look different for everyone. Check in with your partner(s). Love: Love yourself. Love is all the factors we have listed and more. Love is defined by the beholder and love is everything healthy. You define love. Trust: It is important to trust your partner(s). When you trust them, you feel confident. You feel sure about what they are saying or doing. We can feel trust in our bodies and know when we are being lied to. When you lie to your partner(s) that can create an unhealthy relationship. If you can’t trust your partner(s) ask yourself why? And communicate your thoughts/feelings to them. Be honest with yourself. Be Supportive: Supporting your partner(s) is supporting their process. Its being there for them. When all partner(s) encourage each other to be the best person they can be! Support is given and received. Being able to share ideas and feelings in an open way: It is a great feeling when you know you can share your feelings and ideas with your partner(s) and know that they are going to respond with a love ethic. We know that human beings don’t agree all the time, and that’s fine, as long as you don’t judge or put your partner(s) down. Being able to communicate and resolve problems together: To be able to collect your thoughts, describe your feelings, and letting your partner(s) know when you don’t feel comfortable with a situation or a personal matter. Allowing their to be space to actively listen, ask questions, and empathize. If there needs to be space before resolving an issue communicate that need. Acting on violence is abuse and will never be accepted. Relationships are a roller coaster of emotions, and it is okay: People will have emotions with any and every relationship: (will feel sad, angry, jealous, etc) and how you react to your emotions can be either healthy or unhealthy. The key element in any relationship is to feel happy most of the time with your partner(s) and with yourself. On January 15th, or Martin Luther King Jr. Day, our Peers Building Justice (PBJ) youth participated in the 2018 MLK Jr. Day Showcase. 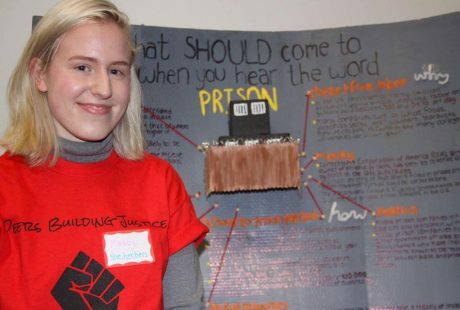 At the showcase, they presented numerous social justice topics such as Black Lives Matter, Intersectionality, DACA, the prison industrial complex, the NFL kneeling of the national anthem, the Jim Crow Laws, the missing and murder of indigenous women, and many other topics. These have been topics very close and important to our youth and they spent numerous weeks working on these projects. 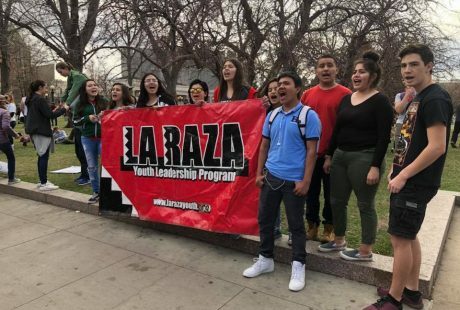 This was the only youth-led event on MLK Day in Boulder, so we felt very inspired on the passion and commitment our youth have in fighting and educating the public about social justice!